Tourism Ireland's Facebook Fan Page recently posted The Top 10 Irish Experiences (as voted by you). I'm thinking "you" means their facebook fans. I'm a fan and regret that I didn't vote. I'm glad Tourism Ireland's took inventory of fan experiences, but alas, the chosen sites show little of the rarely experienced magic of Ireland, so hard to find behind the steel, glass, turnstiles, car parks, and high admission prices. Just below are Tourism Ireland's Top Ten Irish Experiences but I've added a few counter remarks and listed my own Top 10 Irish Experiences below these. Feel free to disagree, argue, pontificate or add your own top 10 in the comment section. 1. Kiss the Blarney Stone and get the gift of gab - Blarney Castle is a tourist trap if ever there was one. And the whole kissing thing and "Blarney" term came from the great BRITISH monarch, Elizabeth I. This site wouldn't make my Top 100. 2. Make friends with locals and enjoy the craic (good fun) at a pub session - I fully support this as a Top 10 Irish experience. I would rank it as #1. 3. Spend the night in a majestic castle - I'm sure this would be fun, but also expensive. Most Irish Castles are really Anglo Irish manor houses. Probably a nice experience. I wouldn't rank it in the Top 10. 4. Discover Irish roots and experience the land your ancestors called home - A very worthy experience. Possibly a top 50. 5. See the ocean from the Cliffs of Moher - The Cliffs of Moher are beautiful, but have become an expensive attraction cluttered by blatant commercialism. They are worth a visit once - but I wouldn't rank this in the top 10. Ireland is an island with countless ocean views and scenic cliffs. Save some cash and experience that scenery for free and with less people crowding in. 6. 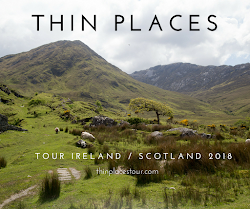 Explore Northern Ireland and walk in the steps of Finn McCool at the Giant's Causeway - "Explore Northern Island" as a single Top 10 experience is like saying, "Explore Ireland." Northern Ireland is a country unto itself with six diverse counties, each with many attractions. 7. Taste the great food and drink of Ireland, starting with Guinness at the Storehouse in Dublin - I hate Guiness. Go ahead and call me names. Insult me. Guinness reminds me of motor oil. I'd much prefer the clean taste of a Smithwicks or Harp, or the smoothness of a shot of Bushmills. And the Guinness storehouse is overrated as a tourist attraction. 8. Tour the Ring of Kerry - No thanks. Too many tour busses and tons of traffic. The landscape is hard to see for all the visitors and tourism traffic in the way. See the Ring of Kerry in the off-season, like in February or March. Stunning views, but I wouldn't rank it in a top 10 experience. 9. Attend one of our great music festivals - I'd place this in the top 10 experiences, but I'd be specific - Go to Fleadh Cheoil in August. This year it's in Cavan. It's a week long event where musicians from the world over come to play Irish traditional music in the streets. There is nothing on earth that compares. I hate golf. I suspect if you are a golfer, golf will be in your top 10 experiences of visiting anywhere. I'm no golfer... unless it's putt putt, and I can't say I've seen putt putt in Ireland. I wonder how many fisherman are fans of Tourism Ireland. 1. Make friends with locals and enjoy the craic at a pub session. I echo Tourism Ireland here. There is no greater Irish experience than making friends with the Irish. If you don't know anyone in Ireland personally, connect with a few people in Ireland on Facebook or Twitter or LinkedIn several months before you visit. Get introduces by other friends who know some folks in Ireland. It will enrich your experience exponentially. 2. Visit the Rock of Cashel - history, drama, archeology, agriculture, rolling hills, colorful plains, castle and cathedral ruins, and a road approach that is the closest thing to Emerald City you'll see west of the Kremlin. 3. Drive the Beara Peninsula - this just east the Ring of Kerry on the opposite shore of the Kenmare River. Beara is just as beautiful as the Ring of Kerry, but Shhhhhhh. Not a lot of people know this and the visitors are fewer and commercialism less. Take a hike off the highway and walk the ancient Green Road. See a few stone circles. See the four white stones that once were the once Children of Lir. They are waiting.... waiting ... for the Fairy spell to be broken. Then hop on the cable car (will hold 5 men or 1 cow) and scoot over to Dursey Island. 4. Soak Up the Culture of Dublin - Dublin is one of the greatest European cities and is easy to experience by walking and hopping on a public bus. Don't bring your car here. See Trinity College, The National Museum, Grafton Street, Dublin Castle, St. Stephen's Green. Soak up the cosmopolitan flavor that is uniquely Irish. Visit the main post office and the museum there. See the bronze statue of Cuchulainn, Ireland's hero who died in battle standing up. Stand "Under the Clock at Cleary's" and see if anything magical happens. (more on this later). 5. 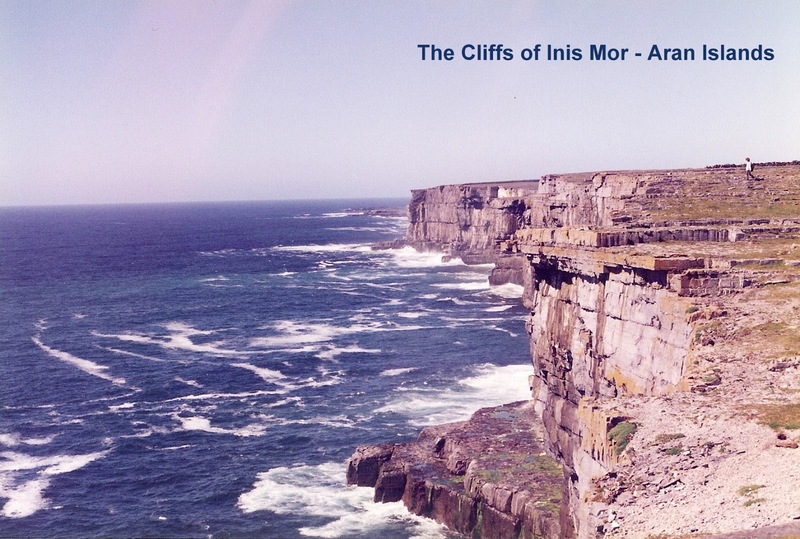 Visit the Aran Islands - or any off-shore inhabited islands in Ireland - This experience is unforgettable. The land appears to be a moonscape, and the stone walls are built differently so as to absorb the great winds on Aran. The native people here speak Irish and live differently than the rest of the country. Their craft and farming skills are remarkable. 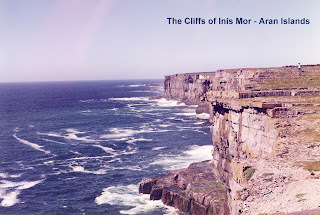 The cliff views from Dun Aengus on Inis Mor are every bit as spectacular as the Cliffs of Moher. 6. Get Dingled - The Dingle Peninsula is packed with enough experience for an entire vacation. Archeological ruins such as the bee hive huts and Gallarus Oratory are familiar, but I've never tire of seeing them. Go to the local visitor center on Dingle and ask about the Archeological Tour given by one of the Dingle natives. Climb Mount Brandon. Take the scenic drive around Slea Head and view the Blasket Islands. Visit the Chapel of St. Josepsh's Convent and see the 12 Harry Clark stained glass windows. Walk on one of the many strands. Lay on the blue flag beach. Eat fresh seafood at the wharf. Take in a trad session at a pub. 7. 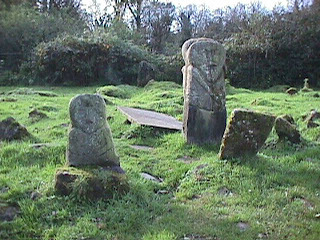 Hug the Janus Figure Caldragh Cemetery on Boa Island in County Fermanagh - this ancient cemetery in the County of Rainbows (see several most days in Fermanagh)is one of the most mystical sites in Ireland. Two Janus figures - stone figures with two faces - poke out of the lumpy ground rumbling with old graves. The cemetery is surrounded with hazel trees and is best seen at sunrise or dusk. After your visit, head over to Drumskinny stone circle, or better yet take the boat to White Island or Devinish Island - all mystical places charged with spiritual energy. 8. Drive through the Burren and Connemara - the landscape in the Burren resembles Inis Mor - a rocky moonscape with little soil. 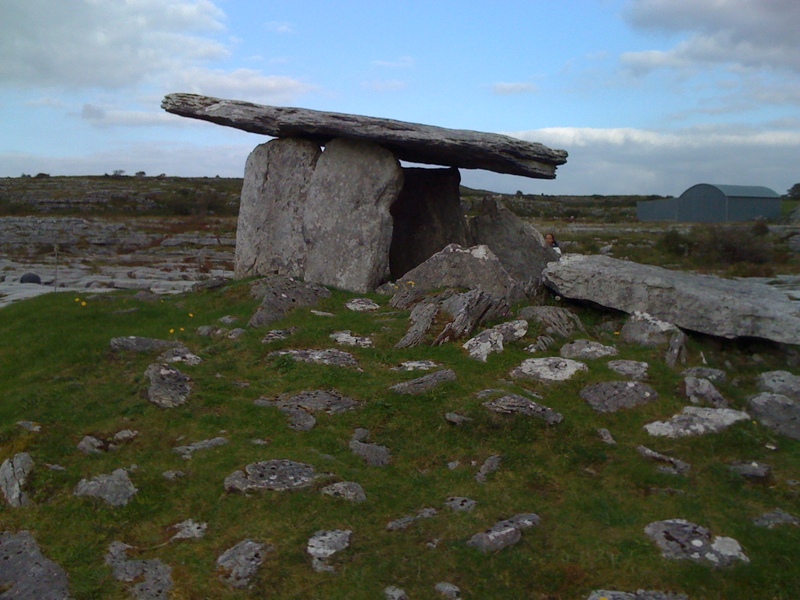 The Poulnabrone Dolmen, ancient high crosses, Corcomroe Abbey, Leamanagh Castle are ruins that creep out of the landscape often startling visitors who can almost see past the barrier of time. The light in Connemara is stunning. Between sunrise and 10:00am, the colors are most vibrant. The darkness at night is thick. Day or night, the Connemara landscape is a blessing for the visitor to gradually soak in. You will be changed forever. 9. Explore the Antrim Coast - this northern part of Ireland is a bit different than the other coastlines. See the Giant's Causeway and don't rush here. The causeway is four miles long and worth exploring slowly. Visit Dunluce Castle (a enchanting ruin, part of which has fallen into the sea). Then drive through the forty mile stretch that weaves in and out of the Glens of Antrim. Your blood pressure will drop for the effect the scenery brings on. 10. Go fishing.... Fishing is a way of life in Ireland, and the best fishing we've found is with a native guide or charter boat captain. The climate in Ireland allows for a great mixture of cold and warm water species. Dan Burgoyne (my husband) prefers fly fishing in the lakes and streams, but the deep sea charters that go out of Cork and Kinsale are worthy experiences. I'm hoping Tourism Ireland will forgive any disagreement - In fact, I urge you all to go to their Facebook page now and become a fan by clicking the LIKE button. In Dublin, I'd add: go to Kilmainham Jail, http://en.wikipedia.org/wiki/Kilmainham_Gaol it has its own place in Irish history, and the atmosphere is electric - a thin place. 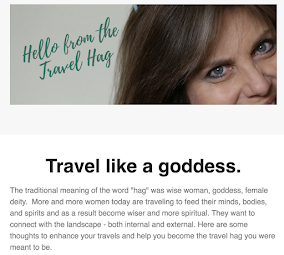 I'd add to the list the Hill of Tara - 'Hill of Kings' and Newgrange. I couldn't leave without going to Ardboe Cross http://en.wikipedia.org/wiki/Ardboe_High_Cross. Oh Maura, you're so right about the Grianan of Aileach and Kilmainham Gaol. I actually had them in and cut them (along with several other attractions - I'm too damn wordy) in editing. Tara and Newgrange - of course! I have not been to the Ardboe Cross I'm ashamed to say. Heard wonderful things about it. Thanks for the tip about Crown Bar. Wish I understood Hurling. have to get into that next season. You're a dear for sending your suggestions... and yes you do need weeks! Great list Mindie. I totally agree with you about the horrible stuff they've done to some of the great places in Ireland, like the Cliffs of Moher etc. I object to paying vast sums to part by the lake in Glendalough when we used to have picnics there as children, including a bonfire to bake our potatoes in and make the tea over. It grates. I also want to learn about Hurling as it seems a wonderful game and I've discovered that not being into sport in Ireland is like a mortal sin! Actually on reflection, Mindie, there is a reason why many of these places don't appear in the top 10... The spirit world will only open the energies to those who make the effort to visit the sites. I am a graduate student, who is going to Ireland in late February during Winter Break, to study Irish poetry at 4 libraries in Dublin. Of course, I plan to have fun, too. This is my second visit, the first being in October 2003 for 3 weeks. I love Ireland and hope one day to live there even if for only a year or two. There is so much to absorb and discover. The Bardic families and poets are my interest so that naturally leads to Irish history and mythology which is absolutely fascinating. Thanks for the wonderful travel tips. May I give you one? The book, “Write Tight: How to Keep Your Prose Sharp, Focused and Concise” by William Brohaugh may help you to be less wordy. 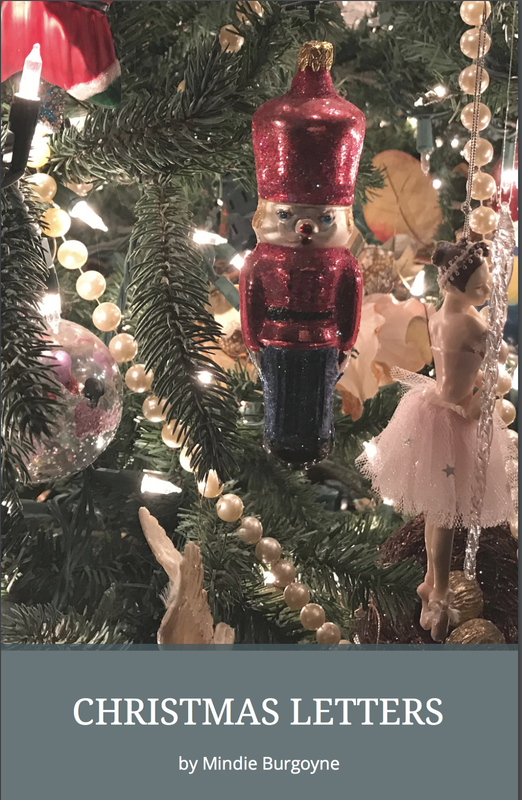 It is a great book and to the point (of course!) It can be found on Amazon.com. Thanks, Catherine. Good luck on your trip to Ireland. And thanks for your suggestion that I tighten up my writing and become less wordy. Sorry, Mindie- I agree with the Tourist board. I've done most of their top ten and loved every minute of it. Now I'll have to do yours next time I go (maybe on one of your trips!). My favorite cities are Galway and Sligo. I love the theatre in the south, whose name escapes me. I loved the touristy Viking experience in Dublin. I wish I could have spent a week in Dublin to see everything. I cried in the Trinity Library, so beautiful. Was disappointed there were so few harps in Ireland. None are made there now! And you were the one who called yourself "Wordy". Catherine was just trying to help . Don't dismiss kissing the Blarney Stone. My daughter won the State speech championship after kissing it. Unheard of for a high school freshman.